I stayed at a new place in Atlanta last night and you’ll never guess what I saw. Go ahead. Guess. WRONG! Oh man, that wasn’t even close! That was just embarrassing…and dumb. I’ll just tell you to save you any more embarrassment. 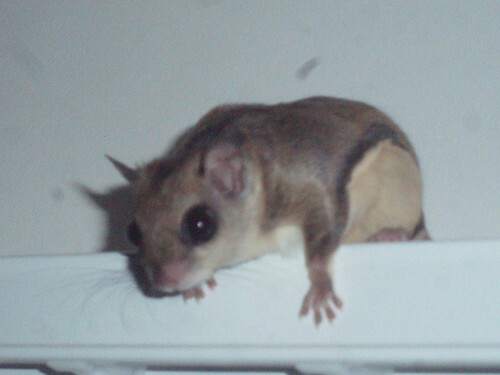 I “played with” a pet flying squirrel! (And by “played with” of course I mean “tried to feed it a pine nut but it wouldn’t even take free food from me so instead it ran up the owners shirt and hid inside his collar.”) This has to be one of the coolest pets I’ve seen on the trip. The ferret, Ding-a-ling, in Utah was pretty stinkin’ cool but Gidget was amazing. Gidget is only about three inches long and weighs next to nothing so she just seems to shake off eight-foot falls and darts out of the way again. It’s common knowledge that the hand is quicker than the eye but few people know that the flying squirrel is quicker than both the hand and the eye, even in a relay race. It was like a little fluffy ball of lightning. I’ve never seen anything move so fast and still be able to make such sudden stops in my life. If it was traveling less than a foot it might as well have been teleporting. It didn’t bother leaving afterimages. It just went from point A to point B without wasting time in the middle. And to top it all off, it LOVED people. Well, most people. It didn’t seem to “love” amtrekkers. But it did tolerate me…so, there’s that. What? No pictures of it flying? What a rip off. I want my money back. 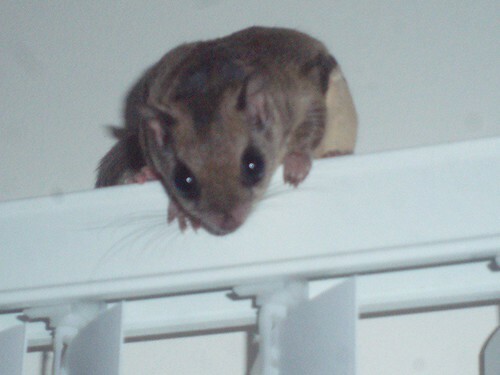 we have two flying squirrels at the museum, they pee everywhere. Crazy. 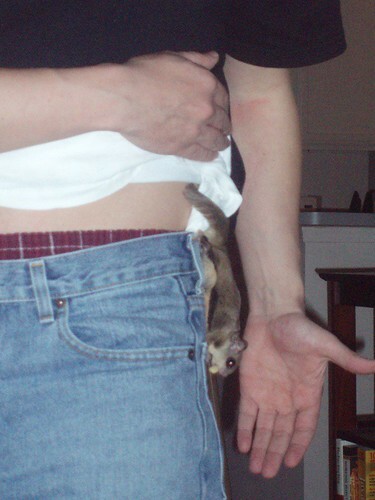 George had a boyscout brochure with a flying squirrel picture in it. The scoutmaster’s article “Nature, Nurture, and My Priapism,” always confused me though. squirrel-face!!! i want one too, but my cat would eat it!